It’s arrived! We have a vehicle! You can see how happy and excited our children are. Our 14 passenger van came all the way from Japan. It was ‘lightly’ used, has just over 10,000 kilometers and was purchased for just over $18,000 Canadian. This money was donated from a number of generous sponsors and other contributors and they will be receiving personal thank you correspondence. 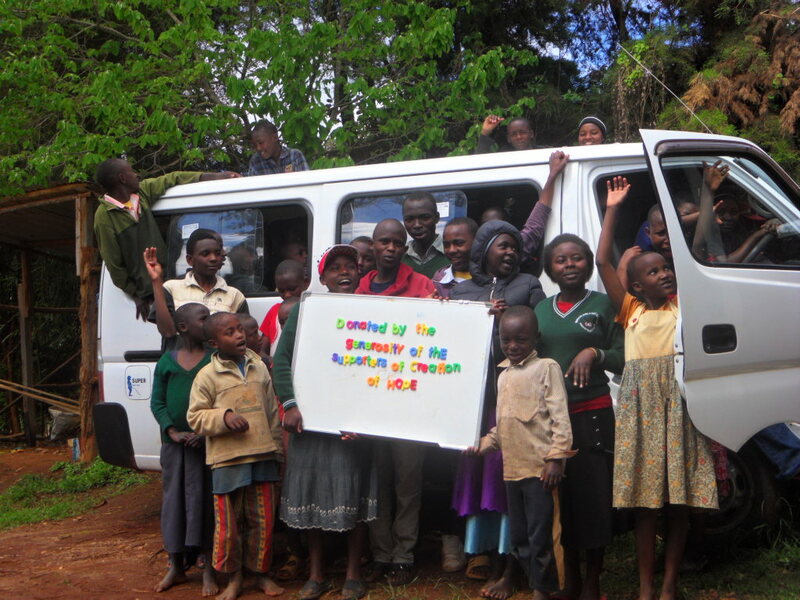 In addition the van will be painted with signage to acknowledge their contribution. Still to come, the vehicle will be equipped with a roof rack to transport the numerous large items – such as beds and livestock – that are part of our monthly food distribution. With this purchase we will no longer need to rely on Henry and Ruth’s very, very old car and truck. I keep being told – and then forgetting – the actual age of these old vehicles . . . it’s something like 31 and 35 years old. 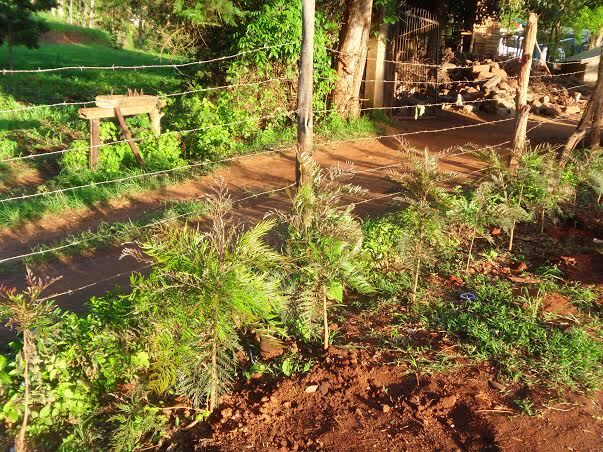 While a newly paved road is snaking its way to Kikima and we hope will be finished this year, the remaining roads can only be described as being beyond awful. Think of the worst road you have ever been on and then make it much, much worse. Those are the roads our new vehicle will travel on a daily basis as it brings our children to medical appointments, meetings, transports goods to the orphanage and items out to our monthly food distribution (2.2 metric tons of food plus goats, chickens, beds, blankets, tools and assorted other items). Not only will our children be safer but there will no longer be a transportation cost for the trips and for distribution days. Prior to this we have had to rent a matatu. This is one more big step toward self-sufficiency! Thanks to all our sponsors and donors! 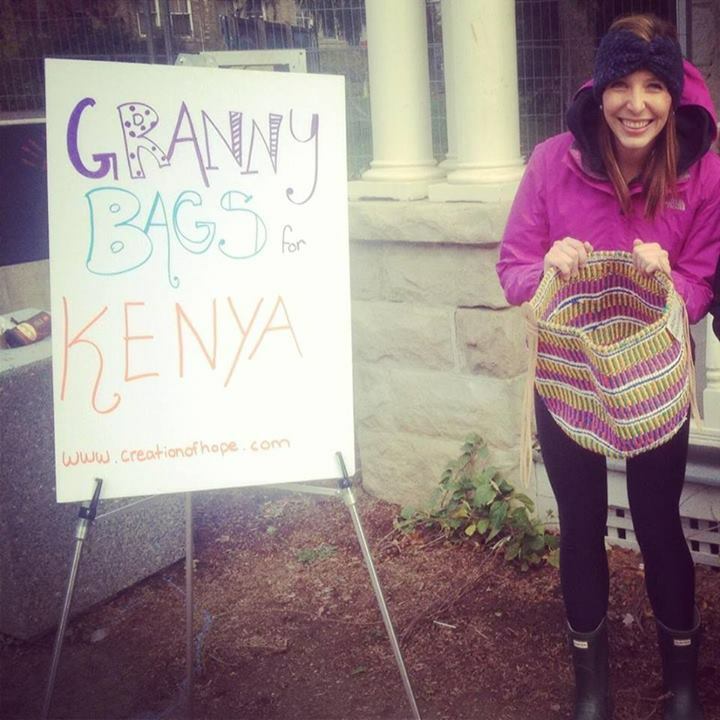 We purchase handmade bags from the grandmothers of our orphans. We pay them slightly above market rate. For many of these grandmothers the money given for one bag can almost double their income for that month. We then have volunteers bring them back and we sell them here in Canada at an increased price. All of the money – 100% – goes directly back to the program. Julia, Janelle, Lily, George and Connor decided to try to sell some of the bags at the university. The results were incredibly successful – and pretty amusing can be seen in this video which was filmed and edited by Connor. In this video you can see how they raised $500.00! We have a dozen granny bags left. If anyone is interested in purchasing one please contact Anita Walters at anitaawalters@gmail and hopefully we can do business! Lisa Farlow takes care of our website. 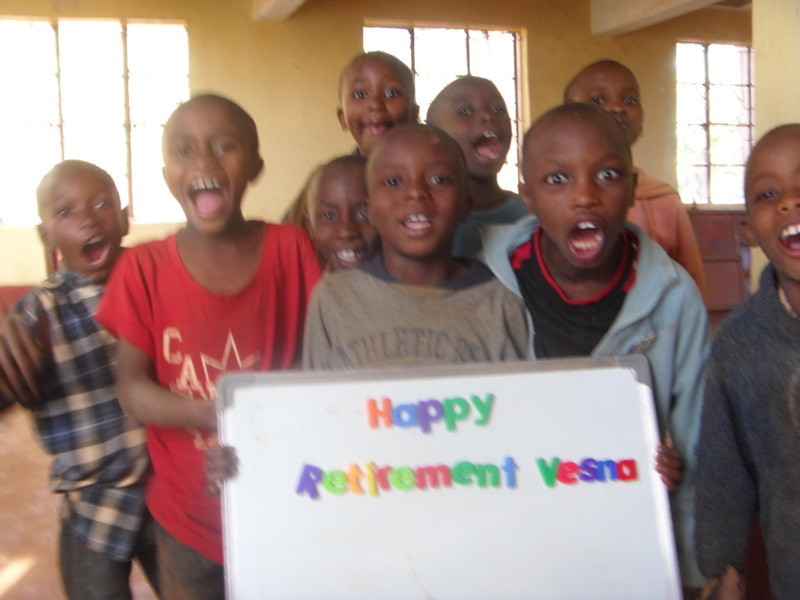 She is a sponsor and also did a three month volunteer placement in Kikima. Lisa has a certain persistent determination to all of her endeavors and has become quite involved with Crossfit. She decided to combine her new activity with her ongoing passion to help. Here is her write-up. It was all exhausting and every part of my body was sore for days! I was glad to have my teammates and to know that I was working to raise money for an important reason. I had an unbelievable amount of support from my friends and family, and would like to thank Lisa Amerongen, Ammneh Azeim, Shawn Barlett, Kajal Below, Heidi Bergstrom (who also came at midnight with treats and cheering! ), Katherine Boyes, Alison Brooks-Starks, Laura and Jeremiah Derksen, Chrissie and Sean DeWitt, Lindsay Farlow, Tim and Barb Farlow, Gillian Gutenberg, Warren Keen, Brianna Klemm, Carrie Maiorano, Sarah Mattiello, Yvonne Shek, and Robert Stainton for their generous donations. Eric and Anita also made a donation bringing my total funds raised to $950. 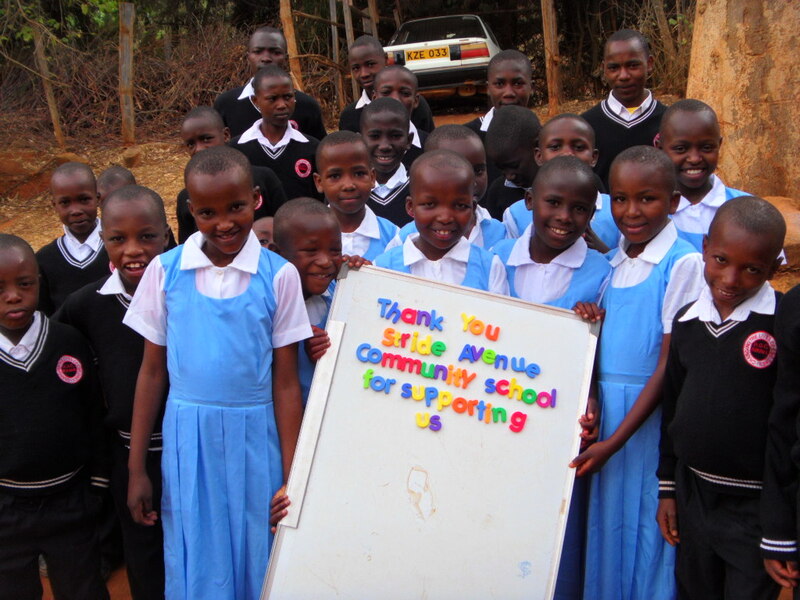 I’ve been involved with Creation of Hope in some capacity or another since 2009, and it just felt so wonderful to have friends join me in gathering some funds to help some of our Kenyan students be able to continue to attend school. Thank you so much! 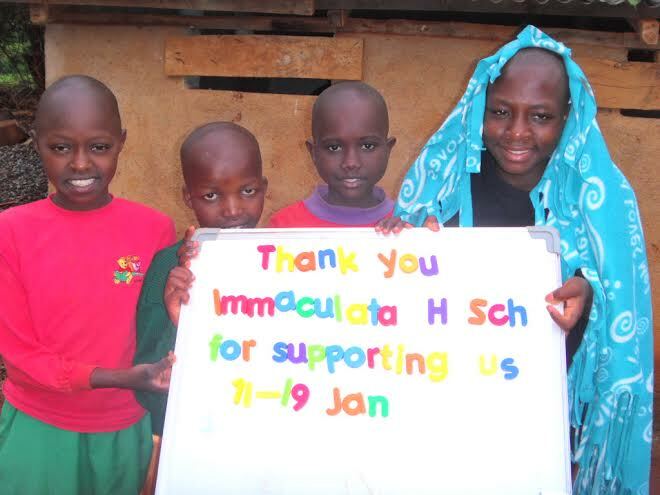 Quinte Secondary School donated $70.00 to be used to purchase a goat and for other items to be decided by our team in Kenya. The school will receive pictures to show what their money was used for. 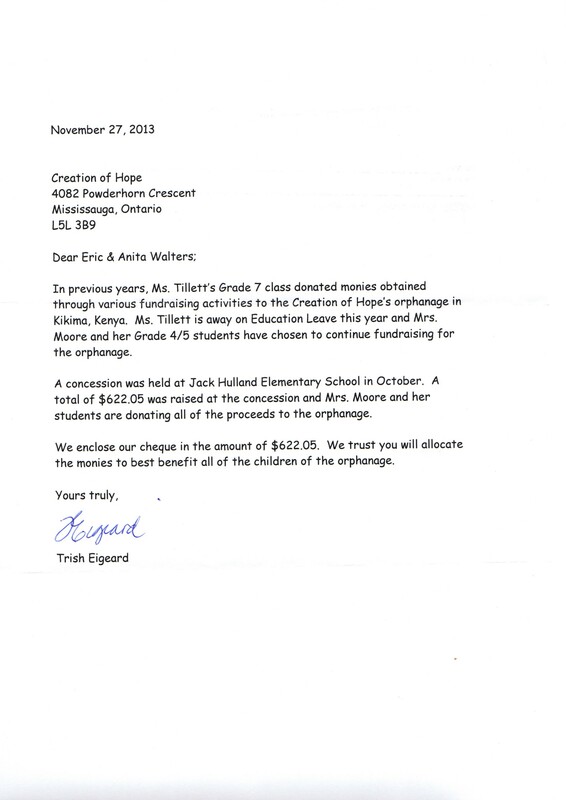 In addition a teacher at Quinte – Susan Cooper – provided money for a goat and a solar lamp. 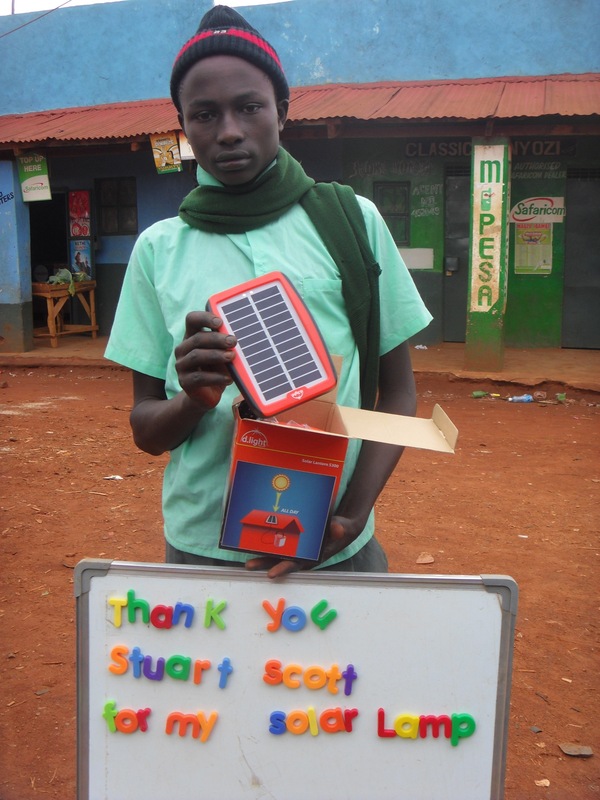 She will soon receive a picture showing the child who received the goat and the child who received the solar lamp. Immaculata High School in Ottawa – primarily through popcorn sales and some parental donations – under the direction of Darlene Charron, raised $676.75! These funds are being used to support the Rolling Hills Residence for 9 days! 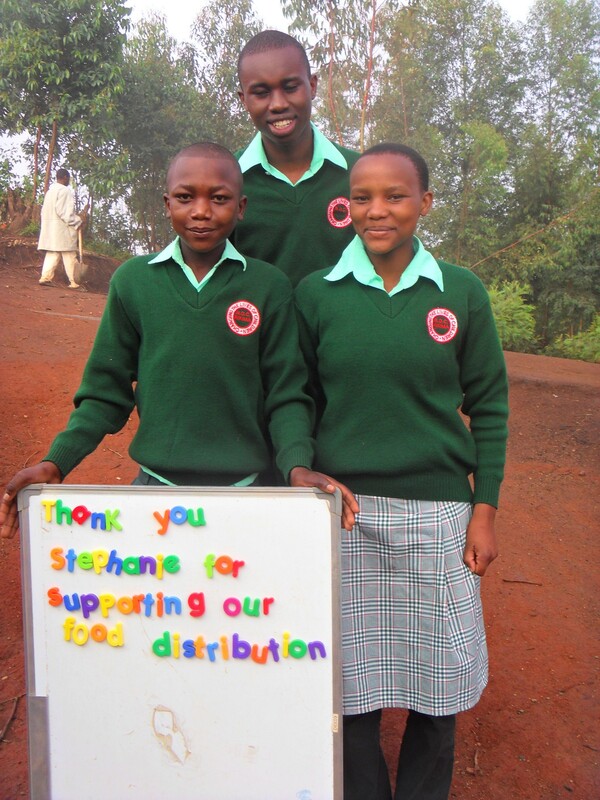 St. Pius X High School made a donation of $253.05 which is being used to support the Rolling Hills Residence for 3 days and the remainder put toward a food distribution day subsidy. 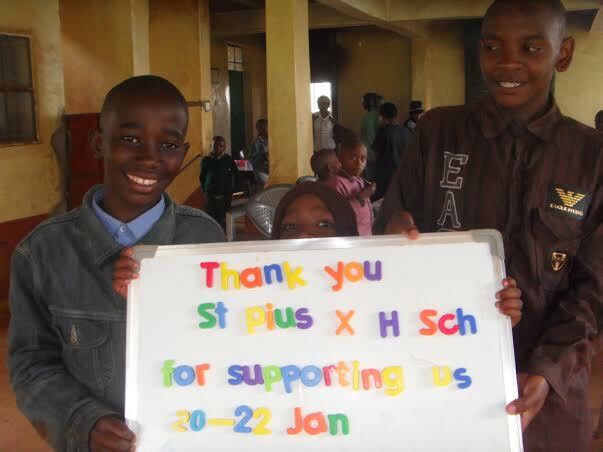 In addition a teacher at St. Pius X – Ivana Etro – made a donation which will be used to provide support for The Rolling Hills Residence for 4 days. Jessica and Rachel, in Mr. Rose’s class at Holly Meadows collected money – $26.37 – which is going to be put toward subsidizing the food distribution in January. 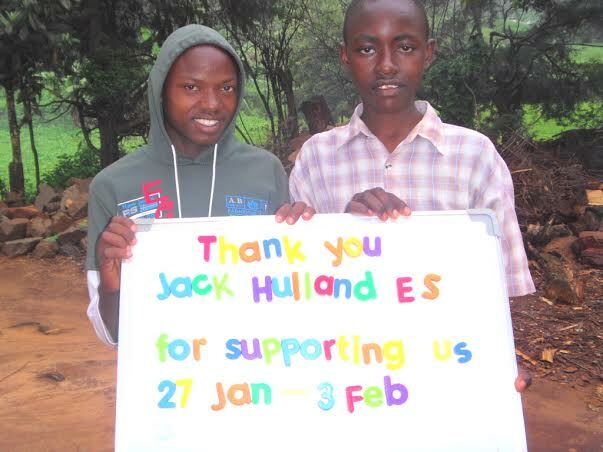 Please read about a donation from Jack Hulland School – warm hearts in the far north of Canada in Whitehorse! These funds will be used to pay for 8 days of support for The Rolling Hills Residence. A young man and student in LaSalle Ont.– Jordan Penner – generously donated money that will purchase a chicken and a blanket. Bob and Linda Ford made a Christmas donation for their friend Sharon Freeman Dan Bar-el made a generous donation to purchase two goats and two chickens in the coming year. My grade 5 teacher, Miss Christena Gay, told me she thought I could be a writer when I grow up. Of course I figured I was going to be in the NBA. One of us was wrong. She was an inspiration for me and remains an inspiration. She just made an incredibly generous donation to the program. We’re putting this money aside with consideration to it being used for a large scale project. We will keep all of you – and her – updated as this potential project moves forward. 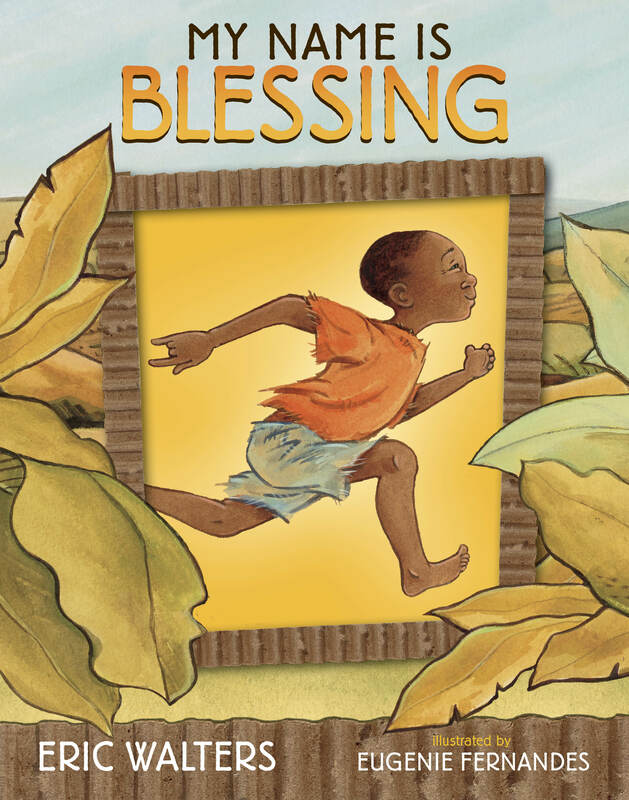 On November 19th Tundra Books, my husband Eric Walters and illustrator Eugenie Fernandes, launched their collaborative picture book “My Name is Blessing” at Bar Italia on College Street in Toronto. The evening not only introduced this picture book, which tells the touching story of a boy named Baraka who lives at the Creation of Hope residence, but also raised funds for the project by selling granny bags, African crafts and all Eugenie’s original art work from the book. The evening was a huge success! Those who attended included friends, family, educators, publishing personnel and over 20 Creation of Hope sponsors with their family and friends! With a variety of pictures and video clips to help share the story, Eric told a tear jerking version of Baraka’s journey and also told about the Creation of Hope project. Food, drink, and conversation flowed generously. And best of all, the evening raised funds that will be used, among other operational expenses, towards sending orphans and needy students to high school starting in January. Thank you to all those in attendance who supported both the book and Creation of Hope so generously. It was an evening to be celebrated and remembered. 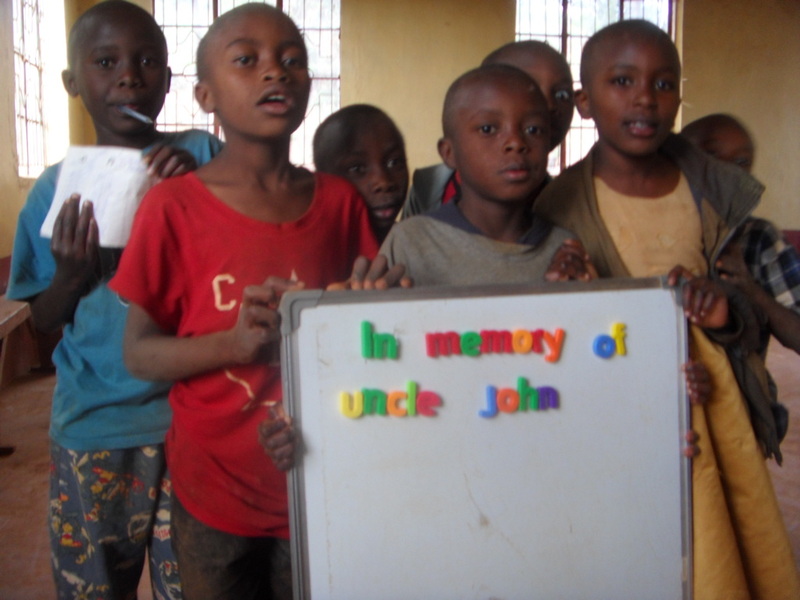 $75.00 provides one day of support for the entire Rolling Hills Residence – food for 52 children, routine medical care, school supplies, the salaries of the tutor, cook, night watchman, matron and caretaker, and the electricity, sanitation and water for the whole building. 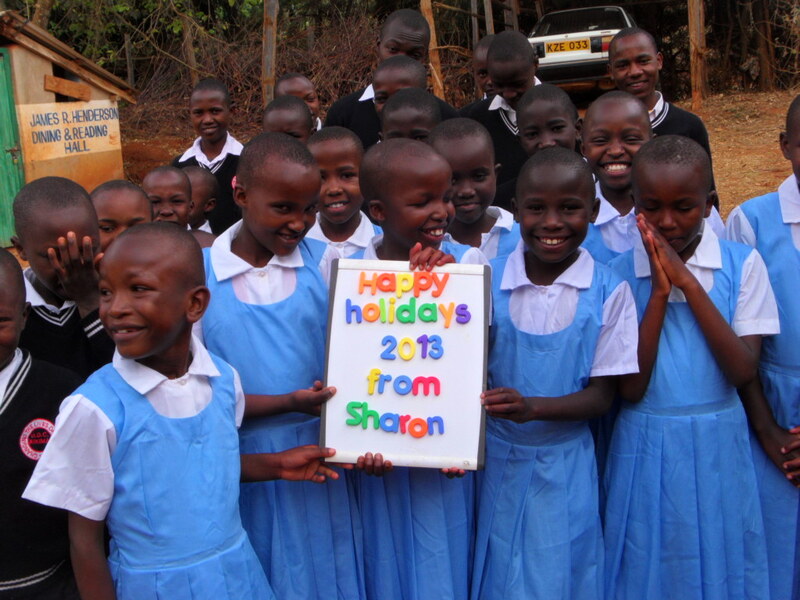 Sharon provided a donation for all of her friends as a Christmas donation. This money will be put toward a food distribution day subsidy in the coming year. 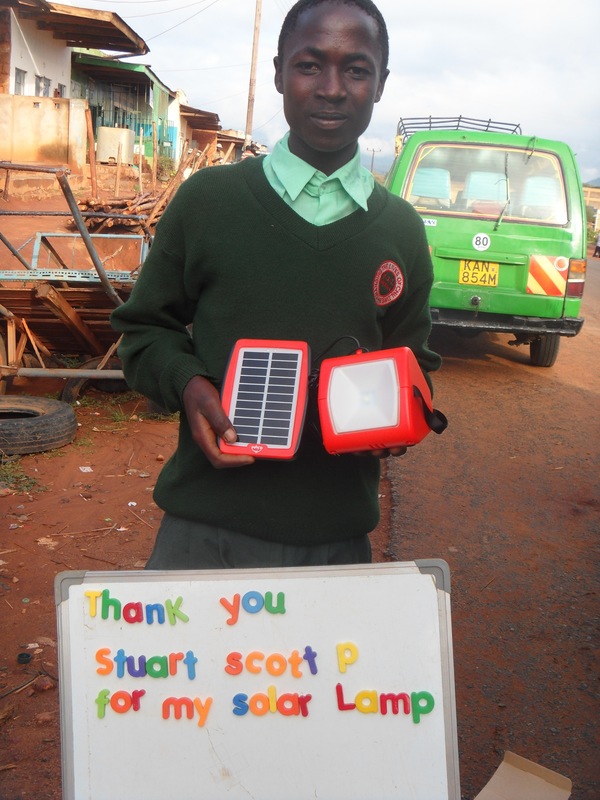 These solar lights are part of a big push we’re making to replace kerosene lanterns for our orphans. Kerosene – aside from having to be constantly purchased – is rather toxic as it burns. We are also very proud to say that we are involved in a new pilot project – one of a few selected sites across the planet – to test ‘gravity lights’. These lights are fueled not by solar but by a weight. The weight is lifted and as it slowly drops over a thirty minute period it provides light. 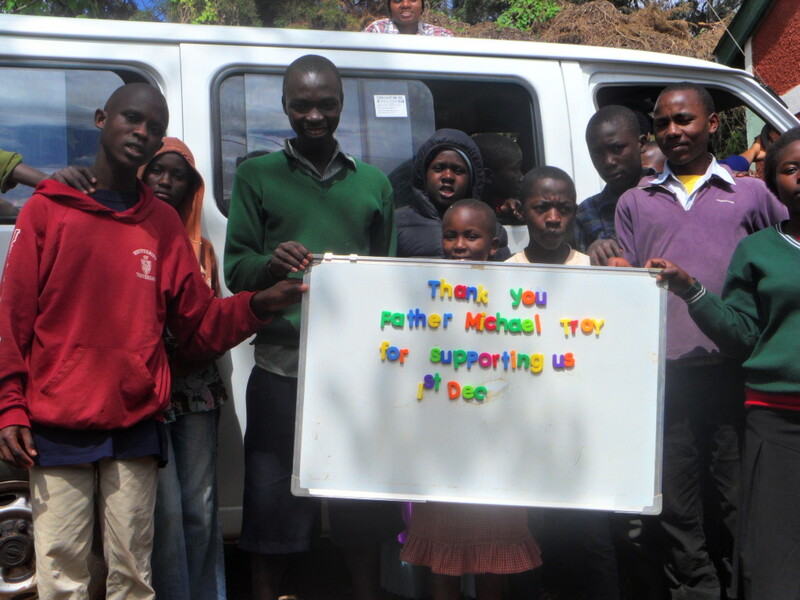 Our sponsors have been generously making donations for Christmas presents for their sponsored child(ren). 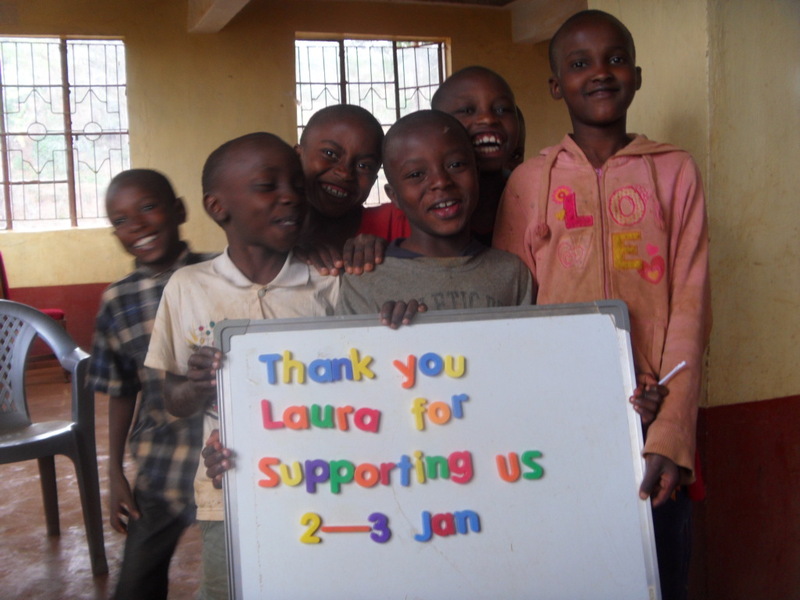 These are being purchased now and will be given out in December with pictures sent back to the sponsors. 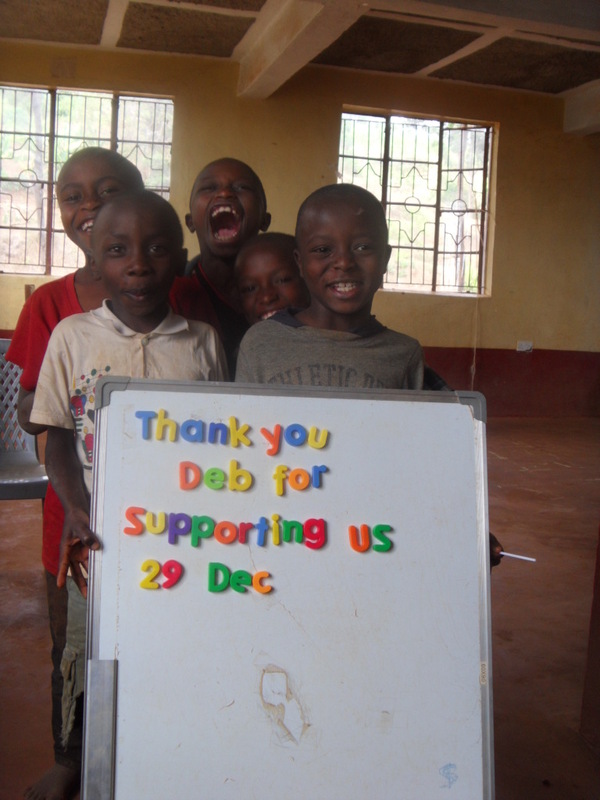 Thank you to all those who responded to the request and sent in funds that are being used for gifts not only for the sponsored children, but something also for their siblings and cousins and a Christmas celebration and meal for all those attending. The day of the grand Christmas party is December 14th and Ruth and Kay and all the Hope staff have worked very hard to organize, assemble, purchase, distribute and prepare for such an enormous celebration – over 300 for sure! Finally, what better way to celebrate the joys of the Christmas season, than to be able to share with others and make this world a better place for all? We thank all our regular sponsors and supporters and all those who have contributed in special fund raising efforts to make such a large contribution impact on the Creation of Hope project. We wish you a joyful Christmas and holiday season and health, well-being and a generous spirit in the year ahead!